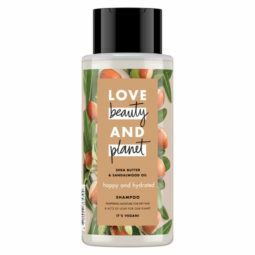 Love Beauty Planet Happy & Hydrated Conditioner, infused with natural Shea Butter, hydrates hair for a lusciously moisturised feel. Immerse your hair in the delicate sensual and mysterious scent of Australian Sandalwood Oil – a harmonious scent with creamy, exotic and woody balsamic notes. Specially designed for hair that’s prone to dryness, this conditioner helps seal moisture into your strands and gently conditions hair for supreme moisture and smoothness. 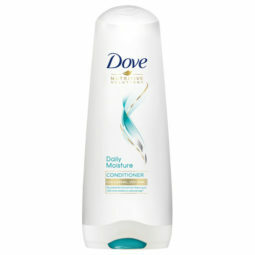 If you have curly hair, this moisture hit is a blessing. 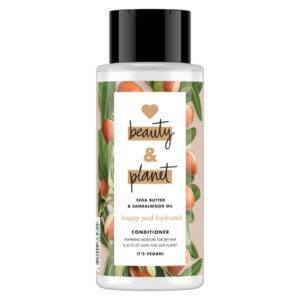 What’s more, this conditioner is made with plant-based detanglers and has no parabens, silicones or colourants. 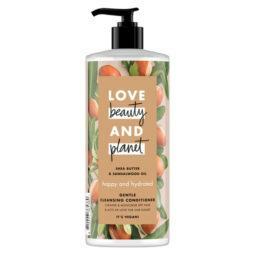 Packed into recycled bottles and 100% Vegan, it helps make both you and the planet a little more beautiful every day. 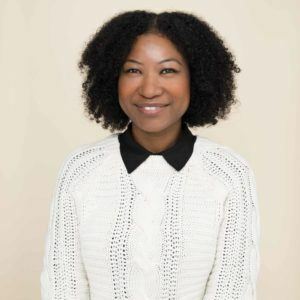 When caring for my natural hair, moisture is the top priority. That’s why I love this new sulphate-free cleansing conditioner – it’s great for refreshing my curls without stripping it of its natural oils.